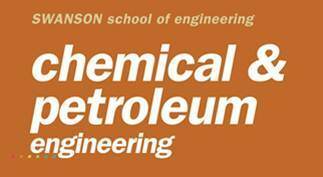 (4/27/11) Prof. Gao received the 2011 Owens-Corning Early Career Award from AIChE. (6/25/10) Prof. Gao was selected to participate in the National Academy of Engineering's 2010 U.S. Frontiers of Engineering Symposium..
(6/9/10) Our research on the "Superoleophobic and Superhydrophilic Fabric Filters for Rapid Water-Oil Separation" has attracted broad press and media coverage. Here is an introduction of our work and a partial list of highlights and links. (1/18/10) Prof. Gao received the 2010 Advanced Materials Award from the Carnegie Science Center. 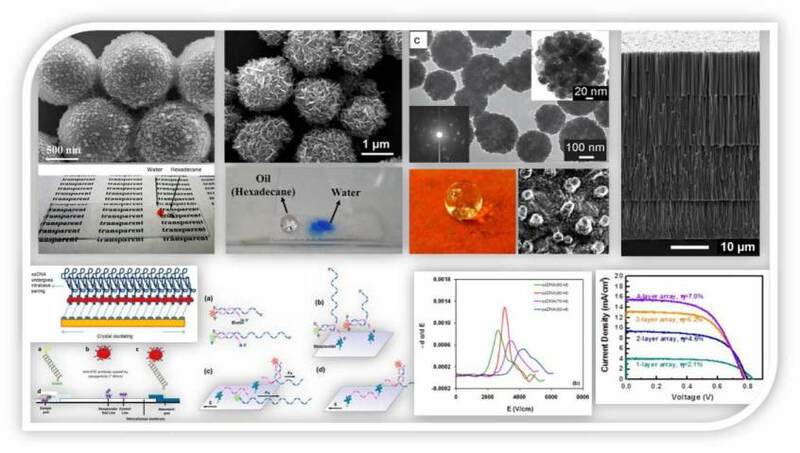 (11/6/09) Liangliang's paper on the "Anti-icing Superhydrophobic Coatings" has attracted a lot of press and media coverage, including Chemical & Engineering News (C&EN), US News & Worlds Report, Science Daily, Materials Today, and broad news coverage on the internet. Here is an introduction of our work and a partial list of highlights and links. (10/16/09) Congratulations to Liangliang for winning the 2009 Coull Memorial Award for Outstanding PhD student! (10/1/09) Prof. Gao and Liangliang won the 2009 Pitt Innovator Award! (12/17/08) Our EPA water treatment project is highlighted by America.gov, a website of U.S. Department of State. The article is entitled: "Universities Collaborate to Improve Water Quality in China--Inexpensive arsenic removal process uses 'people power,' not electricity". Link to the English version or Chinese version of the article on America.gov. Our project is also listed as the 1st example of EPA award-winning projects in another highlighted article "U.S. College Students Offer Innovations in Global Sustainability" on America.gov. (9/12/08) Liangliang and Kevin led by Profs. Gao and Monnell have received a P3 (People, Prosperity and the Planet for Sustainability) Student Design Competition Award from U.S Environmental Protection Agency. (9/1/08) Prof. Gao received a William Kepler Whiteford Faculty Fellowship. (8/16/08) Brittany received the best mentee award from the Pitt EXCEL program. (2/6/08) Nji received an American Chemical Society PRF Underrepresented Minority Research Fellowship with Prof. Gao to conduct research in our group. (1/7/08) Prof. Gao received the prestigious Faculty Early Career Development (CAREER) Award from the National Science Foundation (NSF). "The CAREER Program offers NSF's most prestigious awards in support of the early career-development activities of those teacher-scholars who most effectively integrate research and education within the context of the mission of their organization. The award, which is highly competitive, is bestowed on those scientists deemed most likely to become the academic leaders of the 21st century." (11/16/07) Liangliang, Lizeng and Nji's poster won the 2nd place (with Cash prize) in the student poster competition of Nano 2007 (Commercialization of NanoMaterials 2007) conference. Link to the award announcement in ACS Bulletin. The conference and the competition are organized by the American Ceramic Society and the Minerals, Metals & Materials Society (TMS). The winner is selected by representatives from different companies attending the meeting, and needs to "demonstrate a balance of cutting-edge research in nanomaterials with suggested opportunities for commercial application." (10/26/07) Njideka and Liangliang win BIG IDEA Competition!